Successfully growing tomatoes requires a gardener to make a number of decisions about the plant. This includes whether you want to grow determinate (bush) tomatoes or indeterminate (vining) tomatoes. The two plants differ mostly in size and when the fruit is produced. 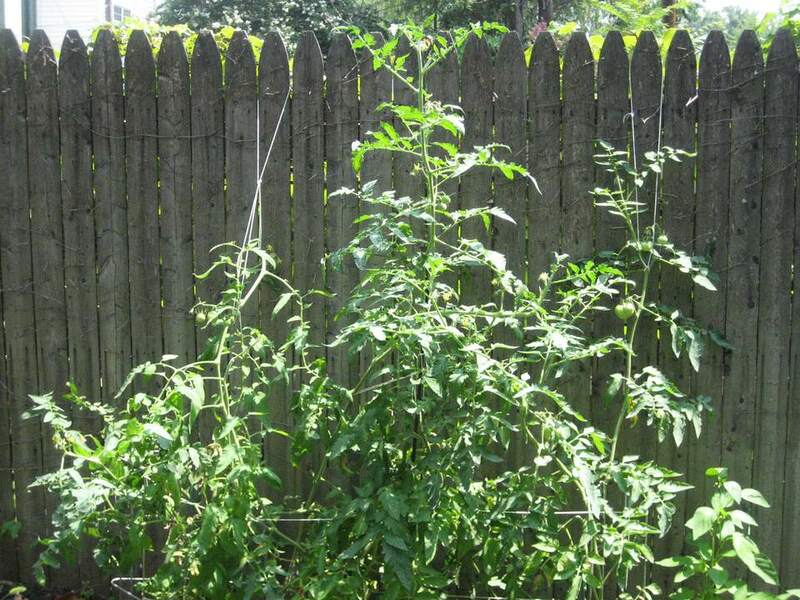 Bush tomatoes grow to a certain height, stop growing, and then flower and produce fruit. Vining tomatoes continue to grow foliage, flower, and bear fruit until the frost. There are advantages to each and which you choose is going to depend a lot on your tomato usage and garden space. If you don't have a lot of space for a tomato vine to climb, growing bush tomatoes might be your best bet. These foliage-heavy plants grow to varied heights: dwarf varieties remain below 2 to 3 feet, while others are 5 feet or less. Determinate tomatoes do best in their own space, making them perfect candidates for container gardens on porches and patios. They're also a little less work for gardeners who don't have as much time to devote to tending their plants. These tomato plants don't need as much pruning nor do they have to be staked and tied. Bush tomatoes don't have as long of a growing period as vining tomatoes. However, they do produce fruit earlier in the season than their indeterminate siblings. Some gardeners think that these tomatoes have less flavor than indeterminate varieties because the plants produce fewer leaves. Once the tomato plants reach their full height, the flowers grow, fruit appears, and then it's done for the season. However, the number of tomatoes produced can be prolific, and they will all appear and ripen around the same time. If you're interested in canning tomatoes, you would do well with bush tomatoes and the large harvest produced within about a one-month period. Vining tomatoes, as the name suggests, grow like vines. Therefore, they need to be staked so they can continue to climb upward to 5 feet and beyond. The average size is 6 feet, but it's not unheard of for a plant to reach 12 feet tall. These indeterminate tomatoes will grow, blossom, and bear tomatoes until a hard frost ends the growing period. The production can be random but tends to be steady throughout the harvest season. Most heirloom tomato varieties are indeterminate, though there are a few determinate kinds. Vining tomatoes require more hands-on time, as they produce a number of side shoots, which could each be their own plant. Pluck off the suckers below the first couple flower clusters to promote the formation of a new stem and better fruiting. If you want a lot of tomatoes at one time for canning purposes, you need to have multiple plants. However, varieties that are known as "vigorous determinates" or "semi-determinates" will produce a crop of fruit, re-flower, and produced a second crop, rather than spacing out the fruit. Indeterminate tomato plants are native to tropical highlands and are referred to as "tender" perennials. This means that they die annually in temperature climates, but they can last for up to three years if grown in a greenhouse.